United Registrar of Systems (URS Certification) is an independent certification body operating in more than 30 countries within the multinational URS Holdings. High quality and guaranteed services are ensured by the United Kingdom accreditation body UKAS, who carefully examine our certification processes and ensure our staff are highly competent in the fields in which they work. URS Certification works with the notable concept of Operational Safety, which presents customers with considerable added value including significant financial savings, and safe and smooth business operations. 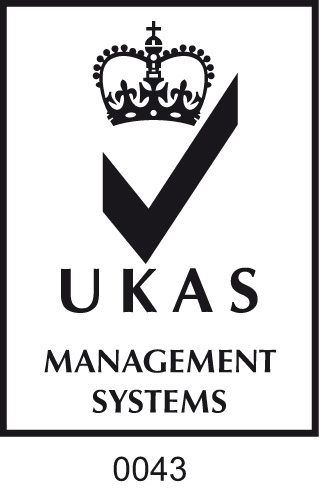 UKAS (United Kingdom Accreditation Service) recognises URS Certification to provide accredited certification of management systems according to ISO 9001, ISO 14001, OHSAS 18001, ISO 20000, ISO 27001, ISO 22301, ISO 13485 and others. URS Holdings offers various services Worldwide, many of the services hold accreditations where applicable. Each accreditation follows a uniform management system which is operated by a separate legal entity within the group. The appointed legal entity is United Registrar of Systems Ltd., Derby Manor, Derby Road, Bournemouth, Dorset, United Kingdom,BH1 3QB, regarding the UKAS schemes and accreditations. For more details, please contact URS Holdings at info@urs-holdings.com or the website of the accreditation body. The IAF (International Accreditation Forum) is the world association of Conformity Assessment Accreditation Bodies and other bodies interested in conformity assessment in the fields of management systems, products, services, personnel and other similar programmes of conformity assessment. The accreditations held by the URS Holdings are all performed by Accreditation Bodies that are members of the IAF. The United Kingdom accreditation agency UKAS is a member of IAF, which ensures the independence and competency of the UKAS accreditation. IATF (International Automotive Task Force) recognises URS Certification to provide automotive certification in compliance with the standard ISO/TS 16949. URS Holdings Group offers various services Worldwide, many of the services hold accreditations where applicable. Each accreditation follows a uniform management system which is operated by a separate legal entity within the group. The appointed legal entity is United Registrar of Systems Ltd., Derby Manor, Derby Rod, Bournemouth, Dorset, United Kingdom, BH1 3QB, regarding the IATF - SMMT schemes and accreditations. For more details, please contact URS Holdings at info@urs-holdings.com or the website of the accreditation body. NABCB (The National Accreditation Board for Certification Bodies) is the Indian accreditation body and it too is an IAF member. URS Holdings selected the NABCB to reflect the growing importance of the Asian market and India in particular. URS Holdings offers various services Worldwide, many of the services hold accreditations where applicable. Each accreditation follows a uniform management system which is operated by a separate legal entity within the group. The appointed legal entity is URS Certification Ltd., F-31, Sector 6, Noida, NCR- Delhi, India, regarding the NABCB schemes and accreditations. For more details, please contact URS Holdings at info@urs-holdings.com or the website of the accreditation body. DAC (The Dubai Accreditation Centre) is the accreditation agency for Dubai. The URS Holdings selected DAC for accreditation as the Government of Dubai has made it a requirement for all companies that produce or prepare food to be certified for the HACCP scheme or ISO 22000. URS Holdings offers various services Worldwide, many of the services hold accreditations where applicable. Each accreditation follows a uniform management system which is operated by a separate legal entity within the group. The appointed legal entity is URS ME FZC, P.O.Box 7871, SAIF Zone, Sharjah, United Arab Emirates, regarding the DAC schemes and accreditations. For more details, please contact URS Holdings at info@urs-holdings.com or the website of the accreditation body. EGAC - URS Holdings offers various services Worldwide, many of the services hold accreditations where applicable. Each accreditation follows a uniform management system which is operated by a separate legal entity within the group. 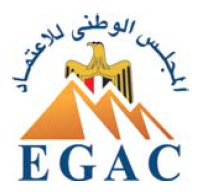 The appointed legal entity is URS Egypt, 20 Palestine Street, 10th floor El Maadi, Cairo, Egypt, regarding the EGAC schemes and accreditations. For more details, please contact URS Holdings at info@urs-holdings.com or the website of the accreditation body. Further information about the range of certifications provided by URS Certification can be found at ISO Certification.